Pleased to meet you, Sandy! What are three things we should know about you? I am passionate about my cause, I am energetic and give my best, and I cannot do my work without uniting with people who share my desire to make a difference. Tell us about Dignity Zambia. What is the organisation’s purpose, and what does it do? 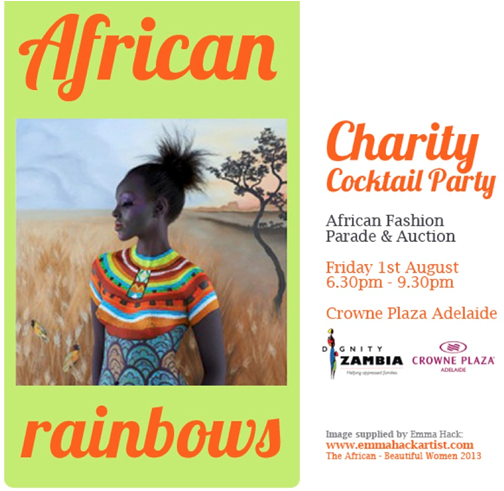 Dignity Zambia was officially launched on August 1 in Adelaide during an event “African Rainbows Charity Cocktail Party”, which was held at the Crowne Plaza Hotel. 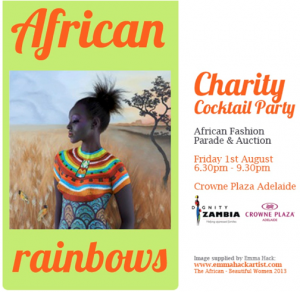 Dignity Zambia is an unincorporated not-for-profit charity formed to assist disadvantaged women and children experiencing human suffering in Zambia, Africa. Funds raised will be spent on education for girls and women of all ages, including assistance with career grants for women 18 years and older. Funds will also be used for helping develop small businesses for women and for maternal health. As the founder, I will be working closely with the Zambian government on projects and I will travel to Zambia regularly to select projects and to oversee them. 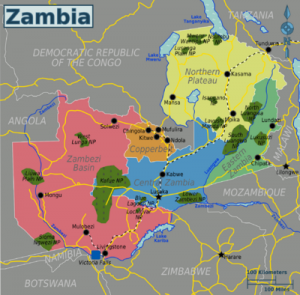 What led you to write your book, My Love Affair with Zambia? What do you hope to achieve through its publication? The idea of writing my book is to publish a story about my life as a young white woman in black Africa soon after independence, and my perspective on how I found the country as a young woman and to share in the many unique experiences I had in the 1970s. I trained the first Zambian girls in modelling, ran fashion parades all over the country for my employer, worked in television and newspapers and spent a lot of time with the black women of Zambia. My book revisits my past 45 years of experience, as I look at the lives of all those I met in the 1970s and where they are today. The book will include photographs I saved from the past and photographs from today, and the proceeds of the book will go back to the cause through the charity I founded – Dignity Zambia. Why have you chosen to run a crowdfunding campaign through Pozible? If companies like Pozible did not exist, how would you be running your project? 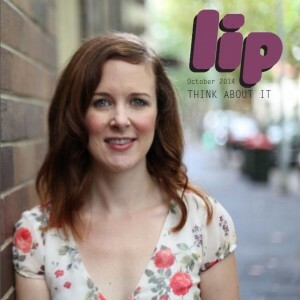 Pozible approached me because they saw an article about what I was doing in a magazine. They called me and asked me to be part of the Adelaide Edit. Because I had a project in mind – the book – I said yes. I had only two weeks to prepare and it was a rush. My Pozible film was sponsored by Logic Films. Without Pozible I would not be able to write the book. Many of our readers are young women hoping to make a difference in the wider world. Are there any tips you wish you could share with your 22-year-old self? I would like to tell her: believe in your work goals, and use wisdom and honesty in all that you do. Have a plan for your career and remember everything is possible. Find mentors who are good people, humble and kind. Realise your shortfalls and get experts to help you in areas you need help. You cannot be skilled at everything. Use integrity in your daily life and if you make a mistake admit it and be sorry and move forward. Be professional at all times and budget well. Be happy in what you do and do things differently. If you are different you will be in demand. Check out Sandy’s Pozible campaign here. You should also check out the other amazing projects featured in The Adelaide Edit, and share the love via #theadelaideedit on Instagram and Twitter! This entry was posted in Featured and tagged featured, women's issues, world. Bookmark the permalink.